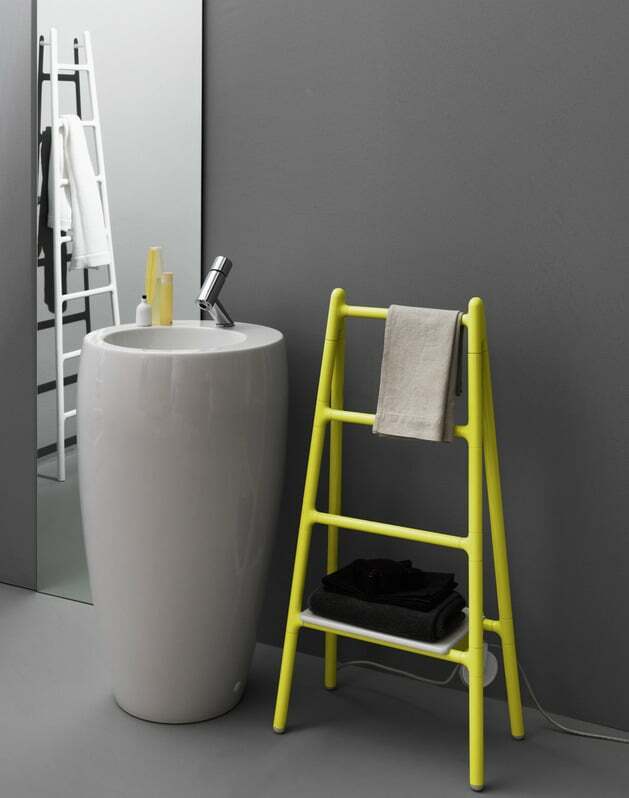 This ladder shaped towel warmer by the Italian company, Tubes Radiatori takes home radiators to a new level of design. It’s not just for heat anymore, it’s also part of your bathroom decor idea. 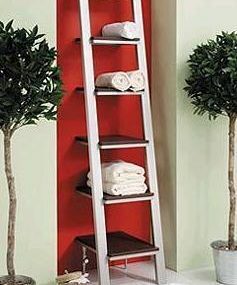 Use the ladder for a toasty towel heater for the bathroom, as well as radiator. 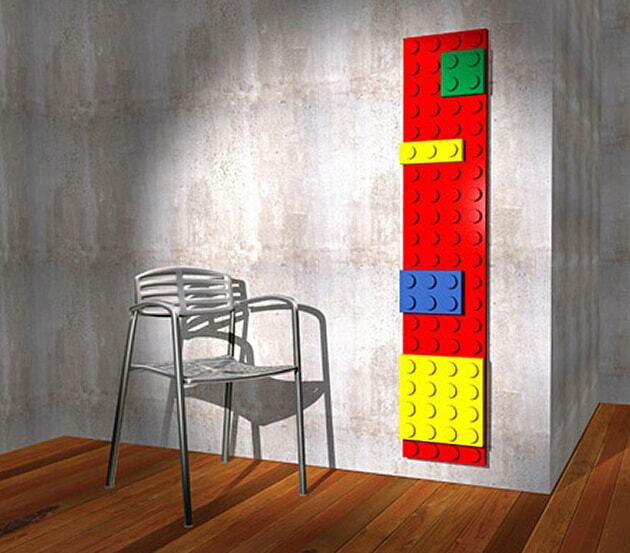 As you can see, it comes in both wall mounted and free standing designs, with a pulley for the electric cable. So go ahead – take your home heating up a rung. 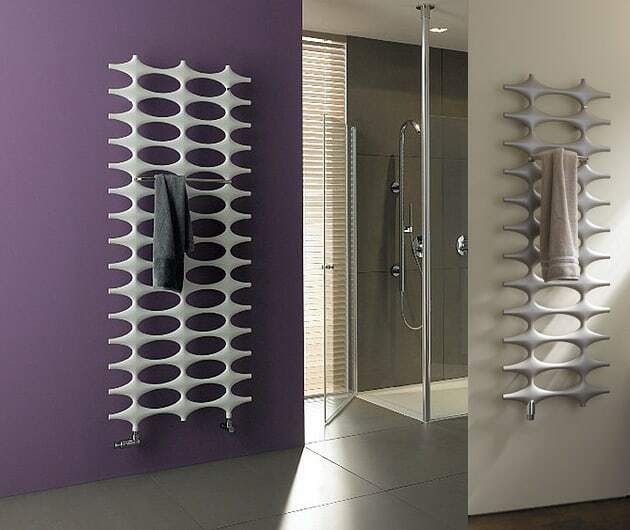 The Teso towel rail warmer is sleek as sleek can be. How clever to roll the towels and place them vertically. And it’s a very thin design available in 200 colors. 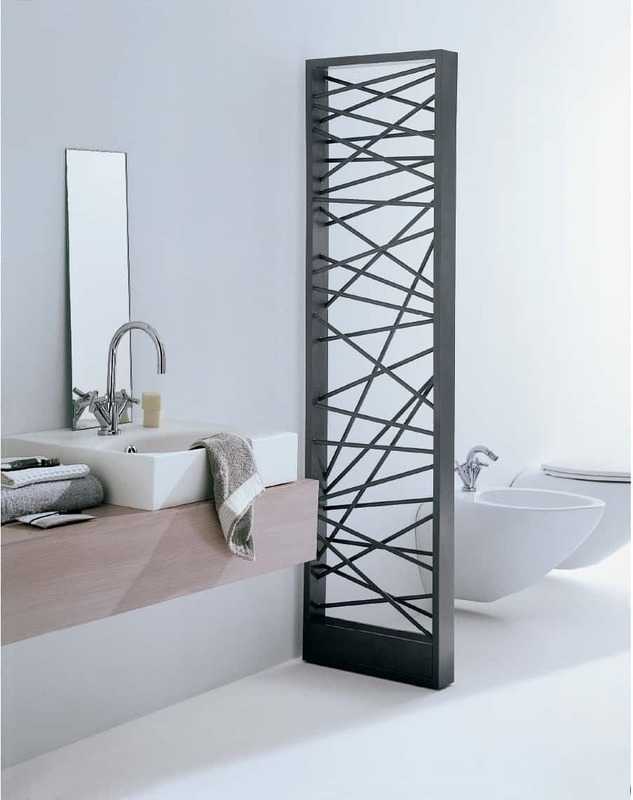 The Teso radiator can be installed horizontally or vertically and is an elegant addition to the modern bathroom. It looks striking against the distressed bathroom wall, above. 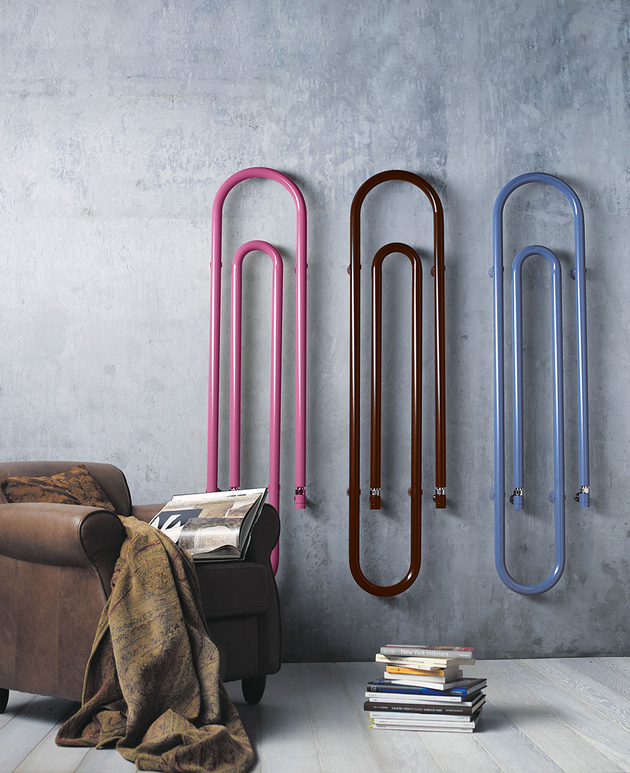 This chic towel warmer radiator by Runtal, shaped as clothes hangers, combines modern art with luxury function. 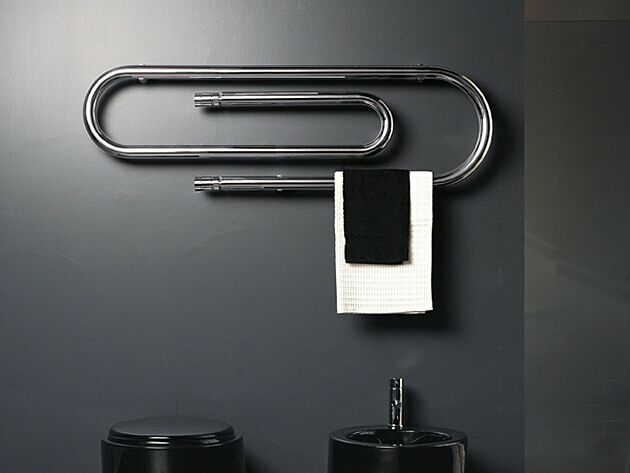 This wall mount cool chrome radiator is fashioned from a single piece of twisted tubular steel, which forms four continuous hangers. 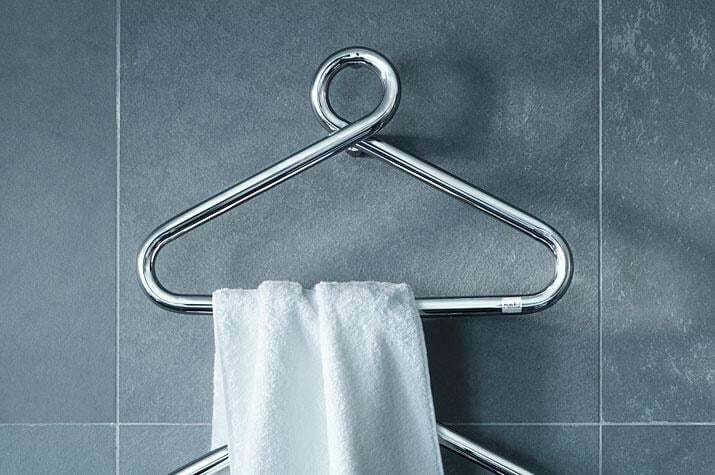 Clothes hangers for the shower – that heat up your towels! 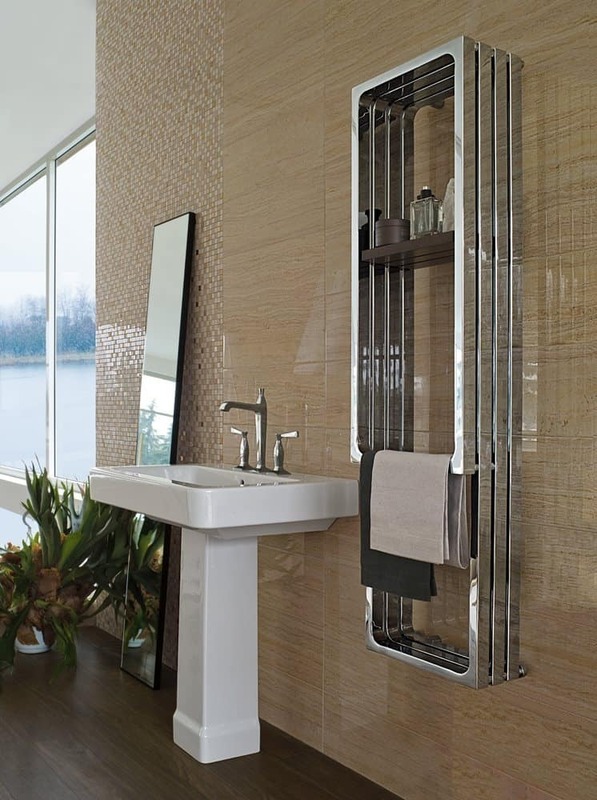 The urban Monte Carlo towel warmer radiator from Tubes meets the ever-increasing need for personalized heating elements and is the epitome of bathroom luxury. 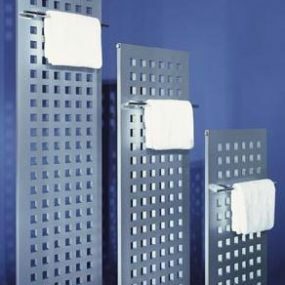 The Monte Carlo towel heater rack and radiator has enough design style to hide the notion that it may be functional as well. 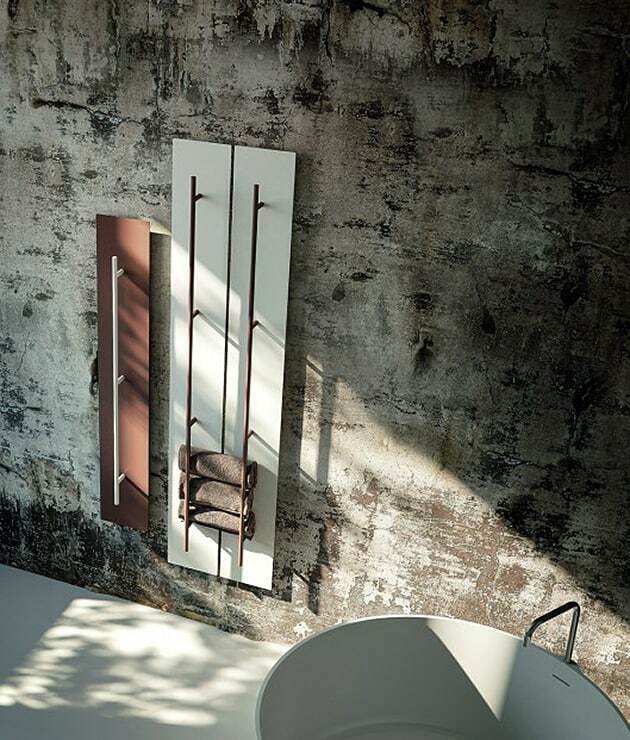 The Monte Carlo radiator is available in horizontal, vertical and square versions that form elegant containers. 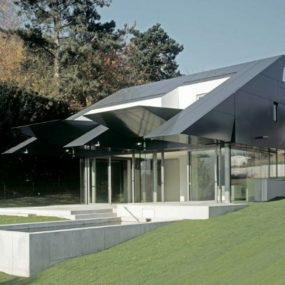 It can be electric, or integrated with your current heating system. 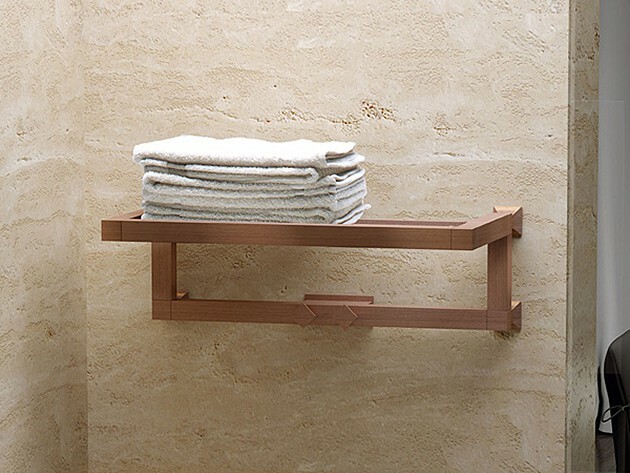 This brass towel rail and radiator from Scirocco is Charming, literally. 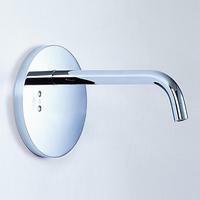 The external handles can be customized with screen printed, mother of pearl or Swarovski inserts for an elegant, wall mounted luxurious design. 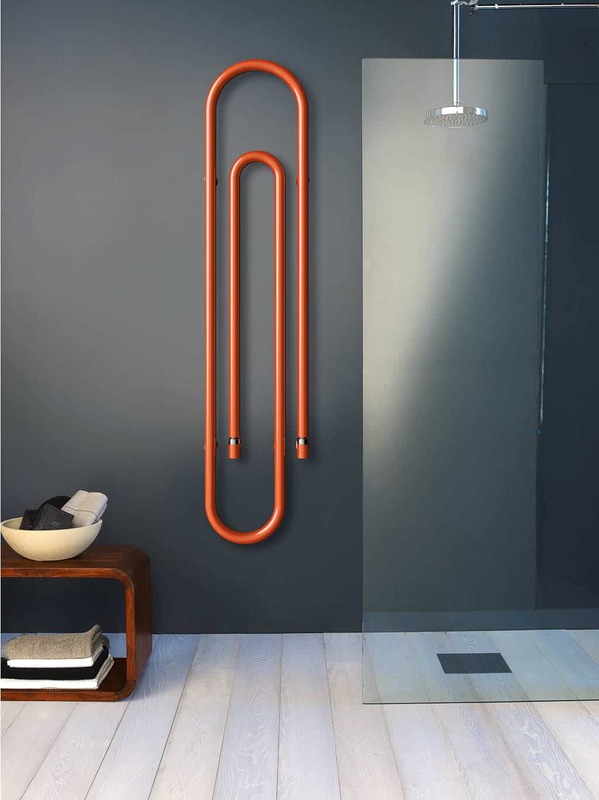 Undoubtedly one of the best European designs, this towel warmer by Scirocco is a giant, hydraulic thermal output radiator paper clip. 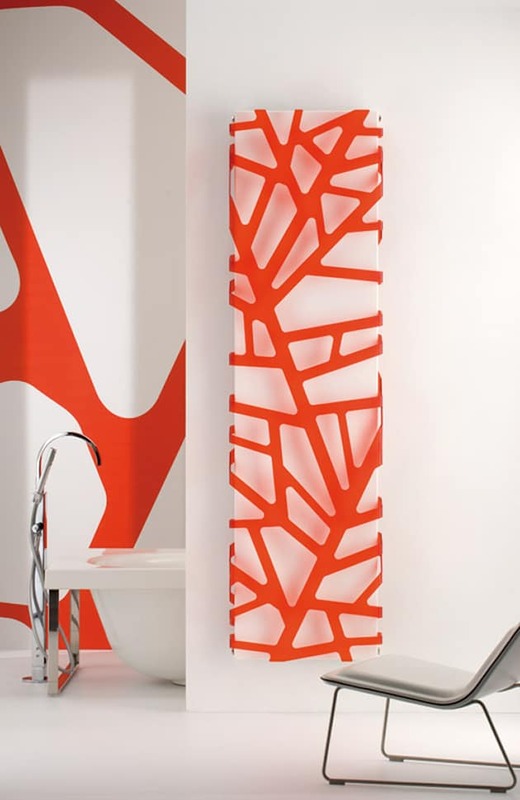 Pop-art is at play in this large wall mount towel warmer radiator – perfect to use by your favorite reading spot or anywhere in the living room or a bedroom. 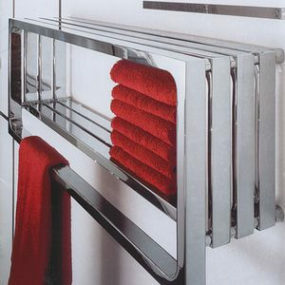 One of the best things about the Graffe towel warmer is that you can mount it to the wall vertically or horizontally. And it comes in some cool colors. 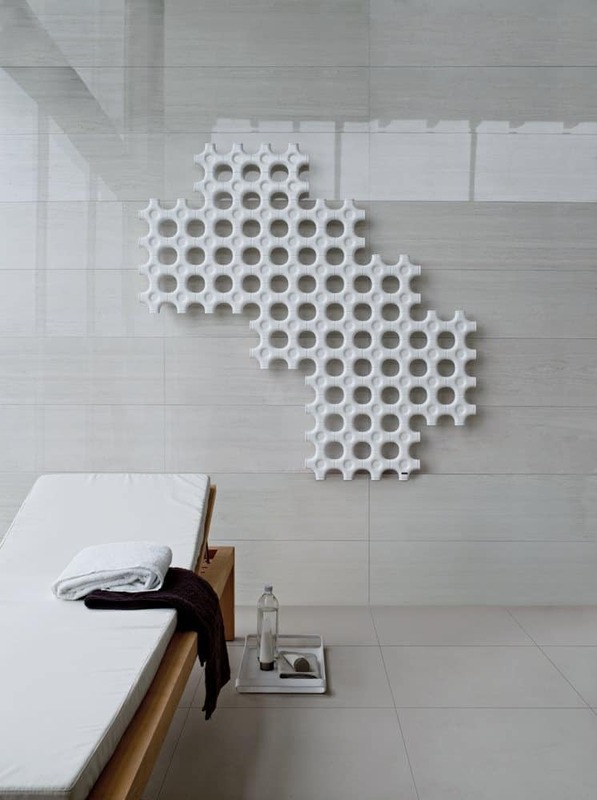 Imagine this designer piece hanging next to your shower – don’t you deserve a little luxury?! 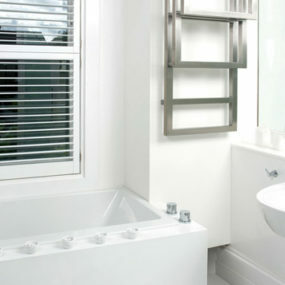 The chrome towel warmer radiator paired with black and white towels – is an ultra modern bathroom idea. A Lego radiator brick – from Italian company Scirocco – what a concept, especially for a child’s room! 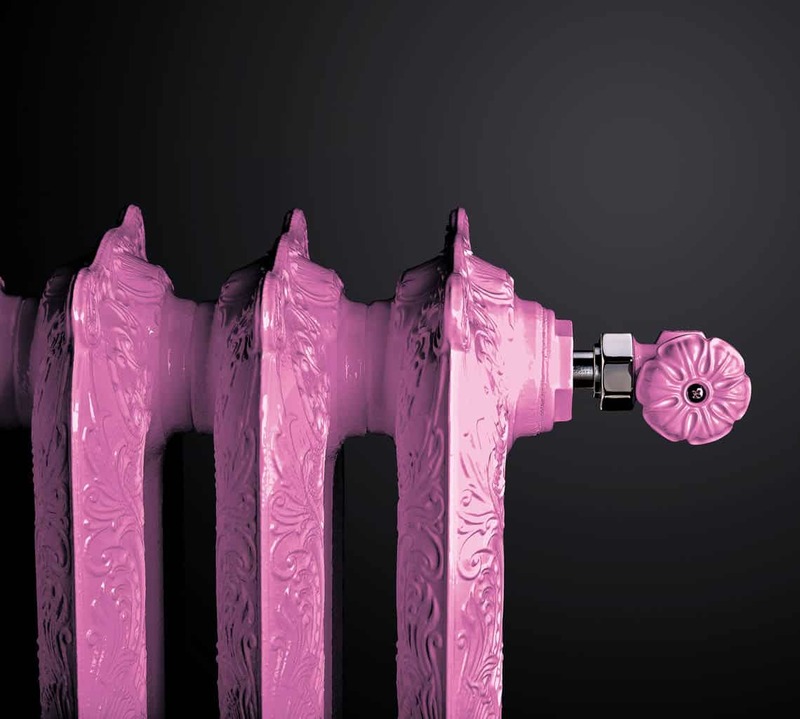 Scirocco has combined technical innovation with whimsical design in this radiator. But pair black blocks with a monochrome living area – and you’ve got modern wall art. 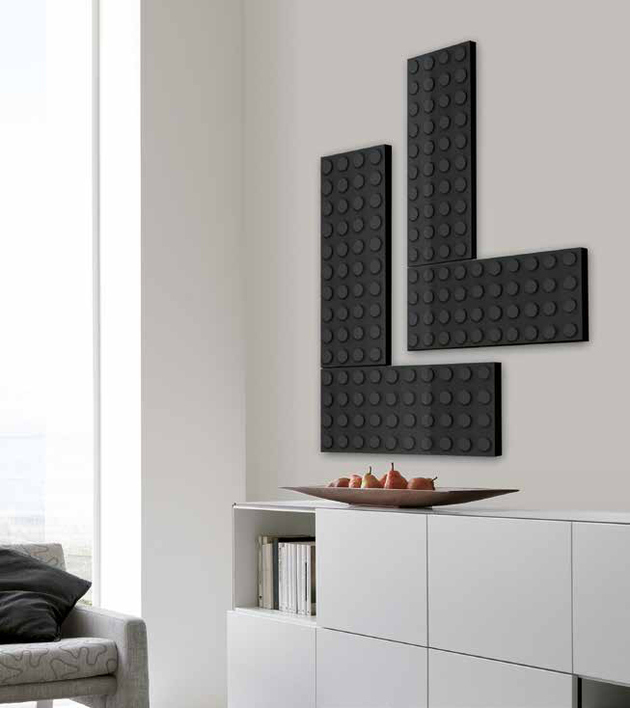 The Brick wall mount radiator has a double connector: one for the heating system and the other to connect the various bricks together. Who doesn’t have fond memories of Lego? The Dafne radiator is from the Black Label Design collection by Fondital. Who would ever guess there is a heating fixture hiding behind this sheet art? It will be our little secret. 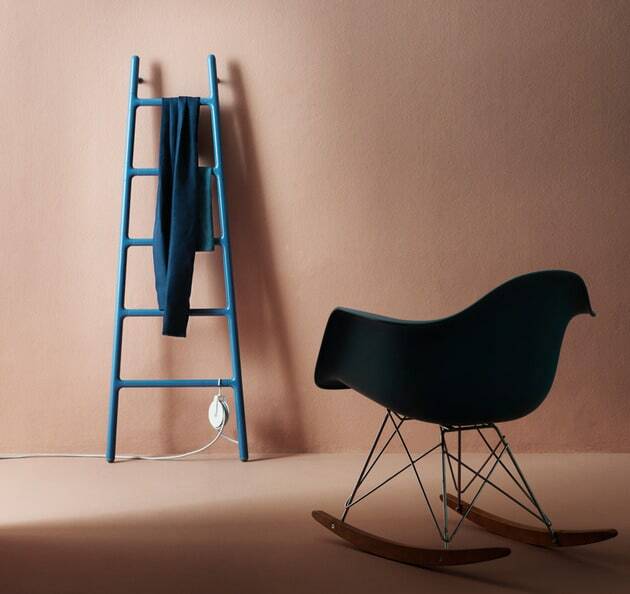 Stunningly styled, the Heatwave radiator from Jaga is the essence of functional art. 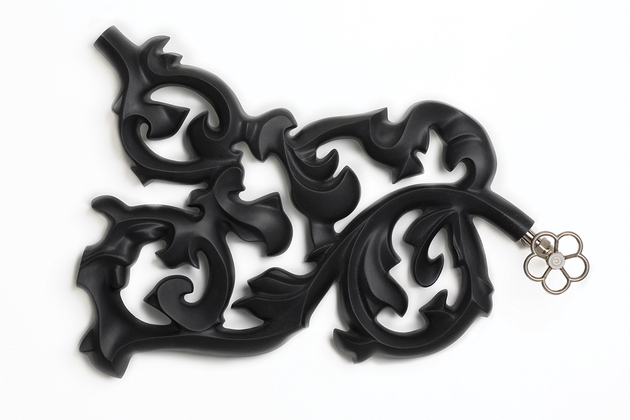 From the Netherlands, the modular pieces click together, and can even fit around corners. The Heatwave radiator’s intricate, curling craftsmanship is borrowed from the Baroque era – when attention to detail was everything. 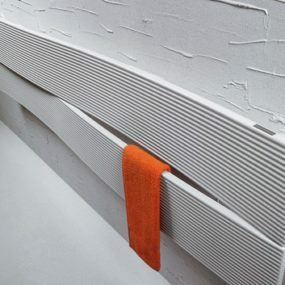 The Heatwave twisting form allows for more surface area than traditional radiators and even more efficient heating. 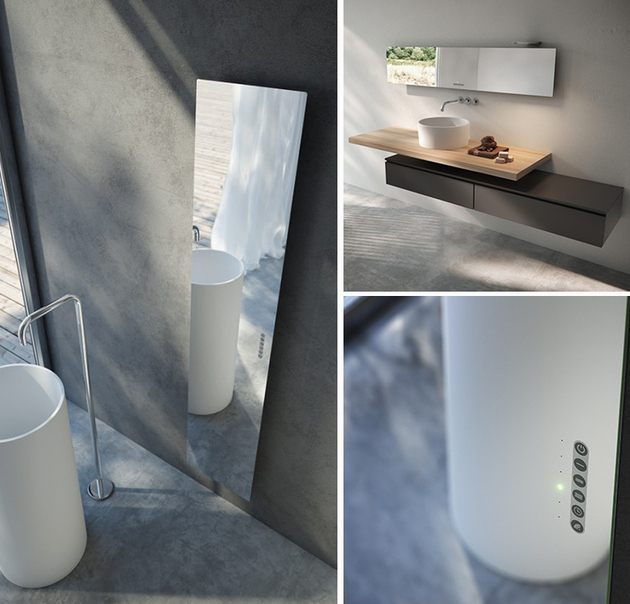 Introducing the Tavola Total Mirror by Antrax. Is it a mirror, or is it a radiator? It’s both. 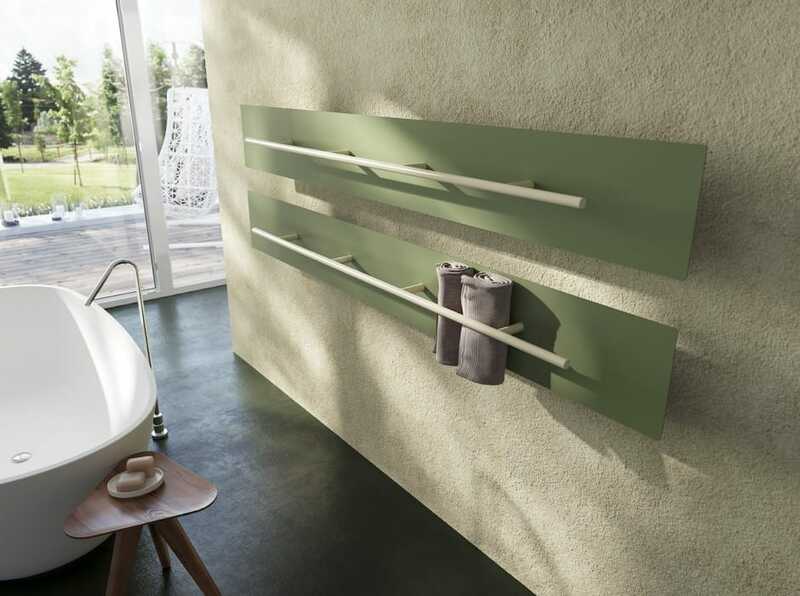 Available in wall mounted horizontal models or leaning vertical models, this is the perfect piece for the modern bathroom. 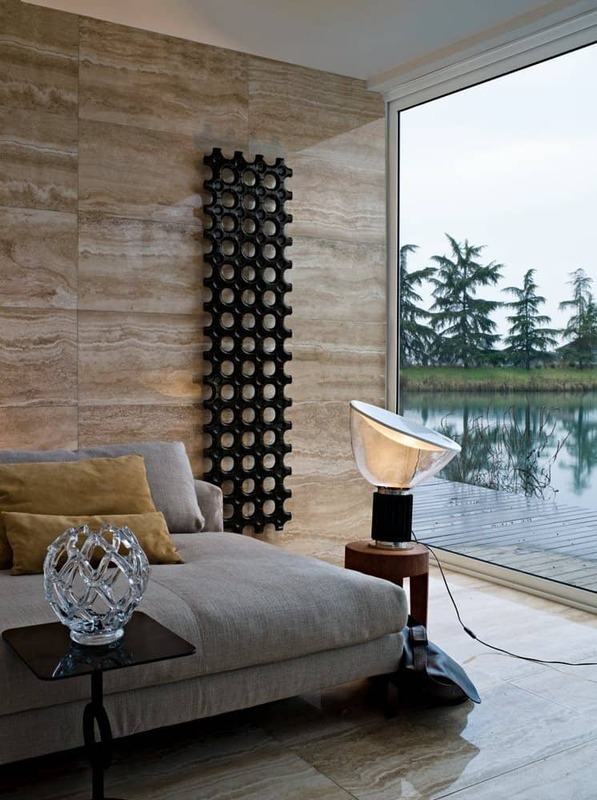 The Oreste & Emma radiator by Andrea Crosetta was designed for both private homes and trendy commercial establishments. 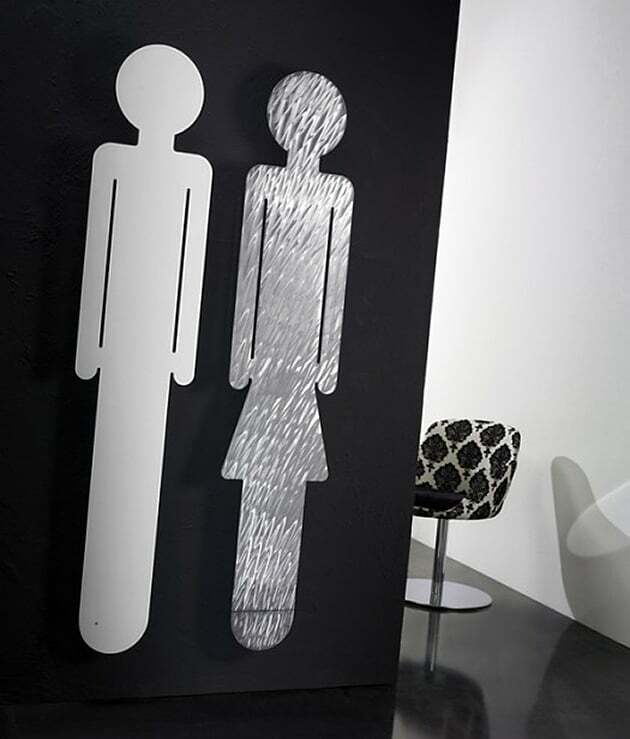 In the true pop-art fashion, the motif is playful. But the sheet metal is also efficient. You can have it both ways. 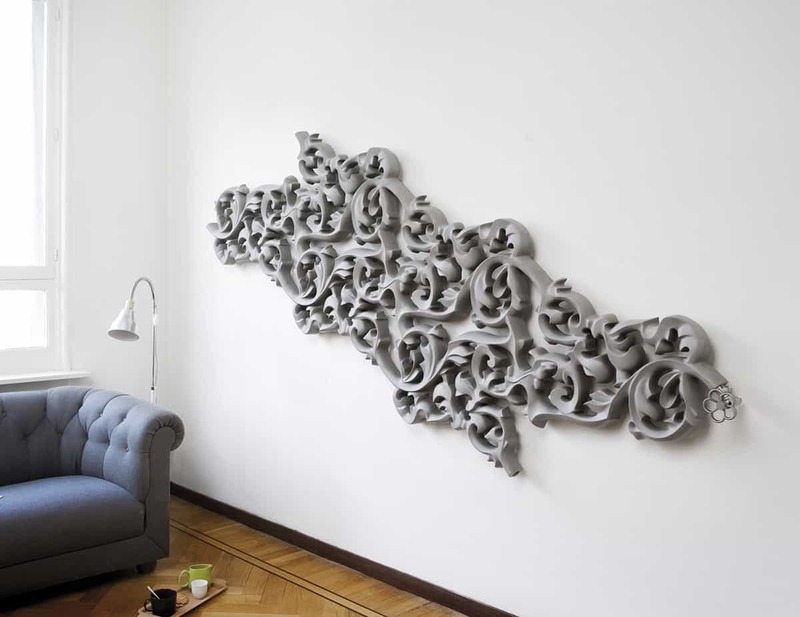 The Flora decorative radiator by Caleido presents like a work of modern art. 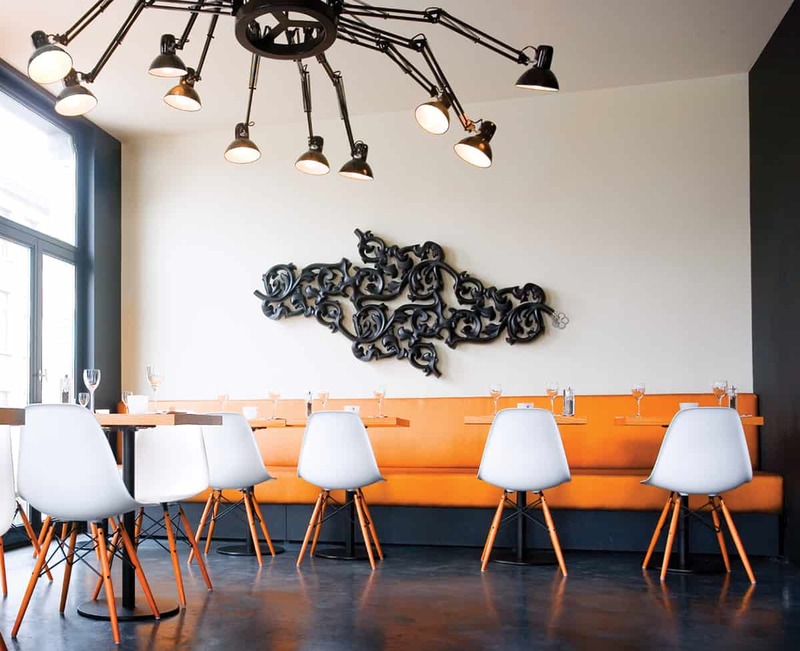 Bright bold colors and lines hide the main purpose – heating the room. 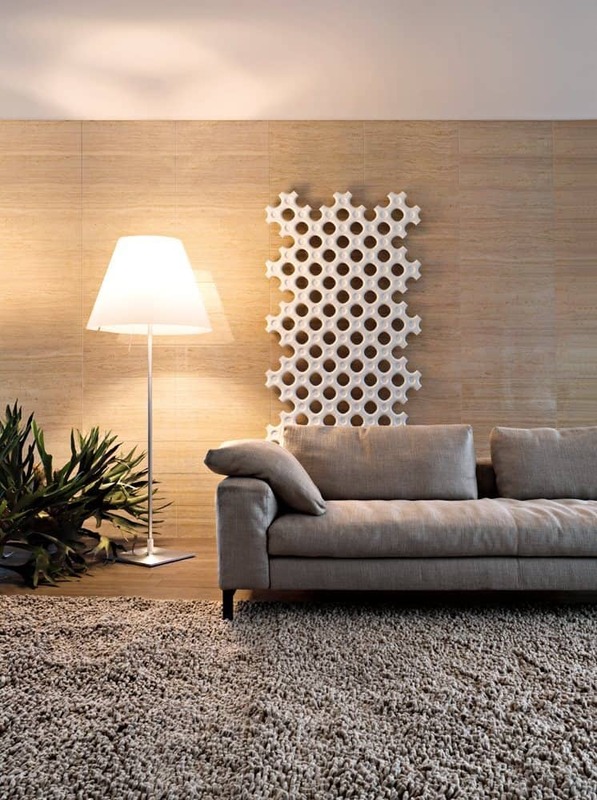 The modern Ideos designer radiator from Kermi embraces and repeats its shape to create this simple yet stunning image. Use it in the bath, the kitchen, even the bedroom. 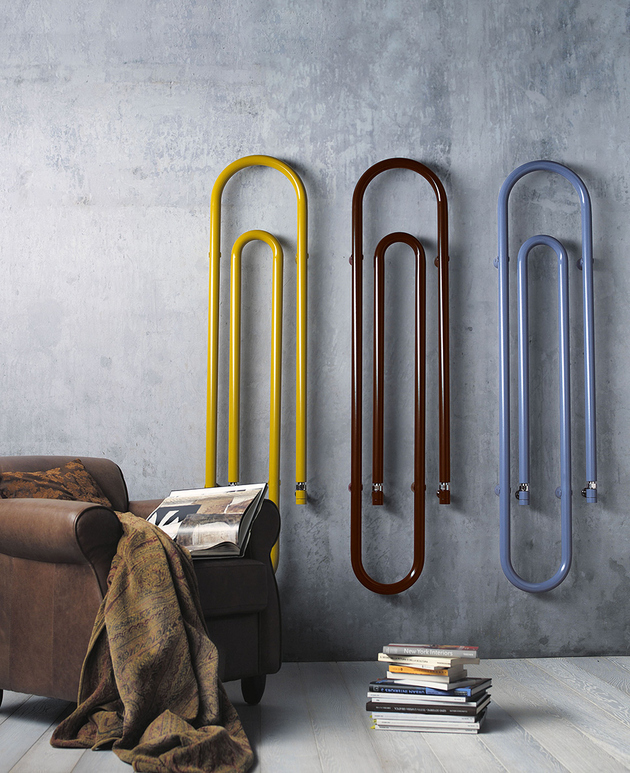 The urban Add-On radiator from Tubes Radiatori meets the ever-increasing need for personalized heating elements. Elements you don’t have to hide. What an amazing bathroom technology! 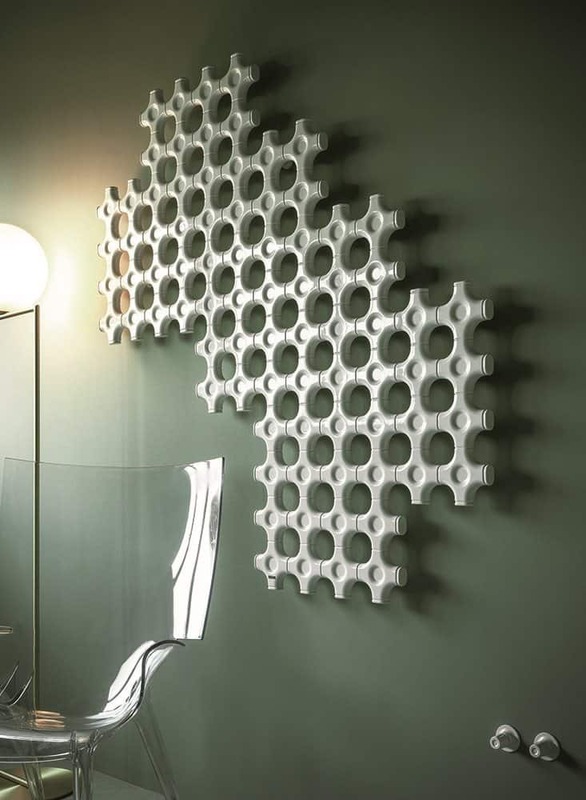 The Add-on radiator, with its ultra-modern honeycomb look, can be sized and formed to best meet your vision. 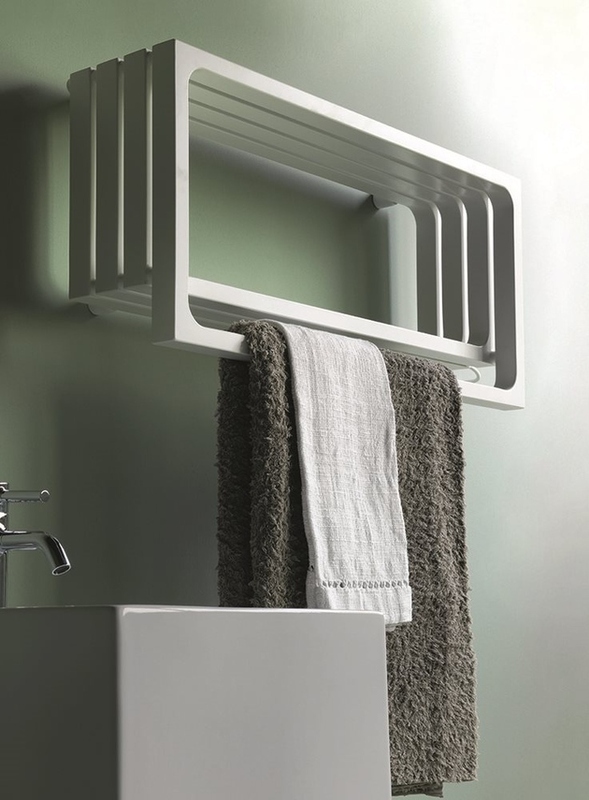 If you use the Add-on radiator in your bath – it’s perfect for heating your towels. With Add-on, you can have a large shape to comfortably heat an expansive area. Or maybe you simply need a small, abstract piece to warm up a chilly corner. 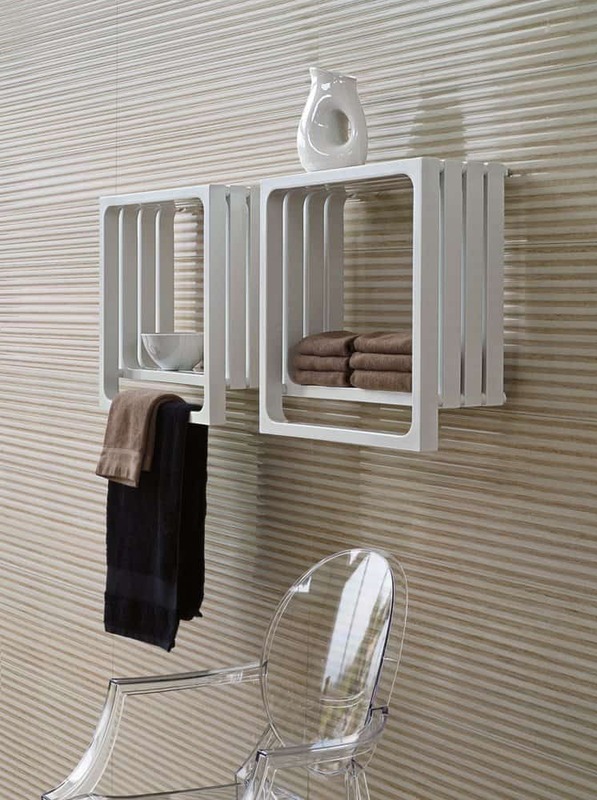 Using the Add-on radiator as a divider in the bathroom is a great idea. 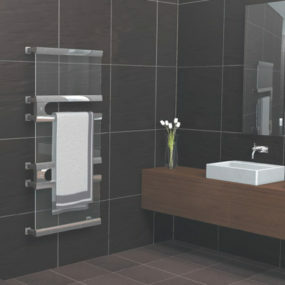 It delineates the sink and tub areas and provides a towel/holder warmer. Add-on fits in any room, really. 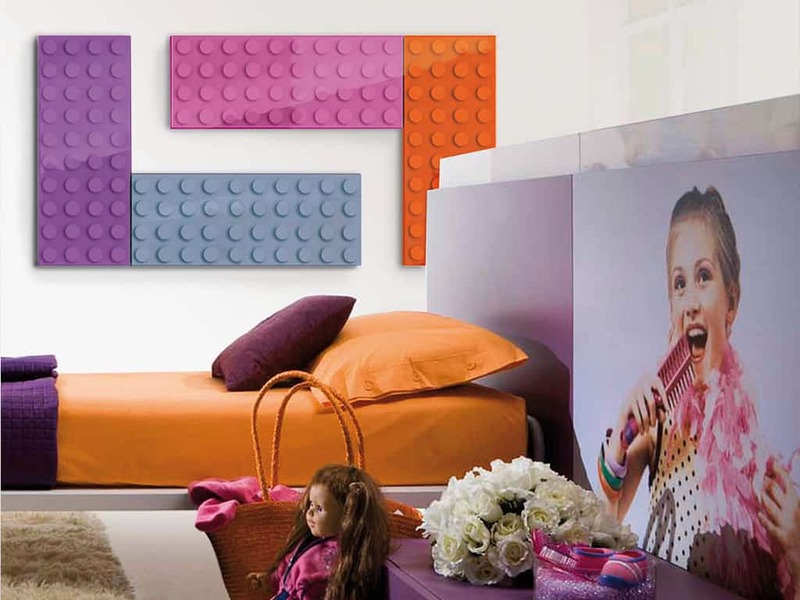 Modular and modern – it’s a winner. 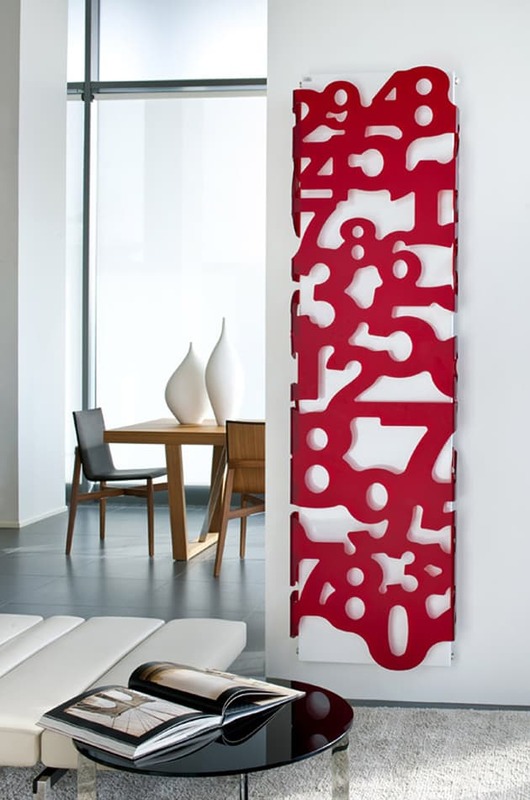 The Mikado from Scirocco is a Japanese influenced screen divider that doubles as a radiator. 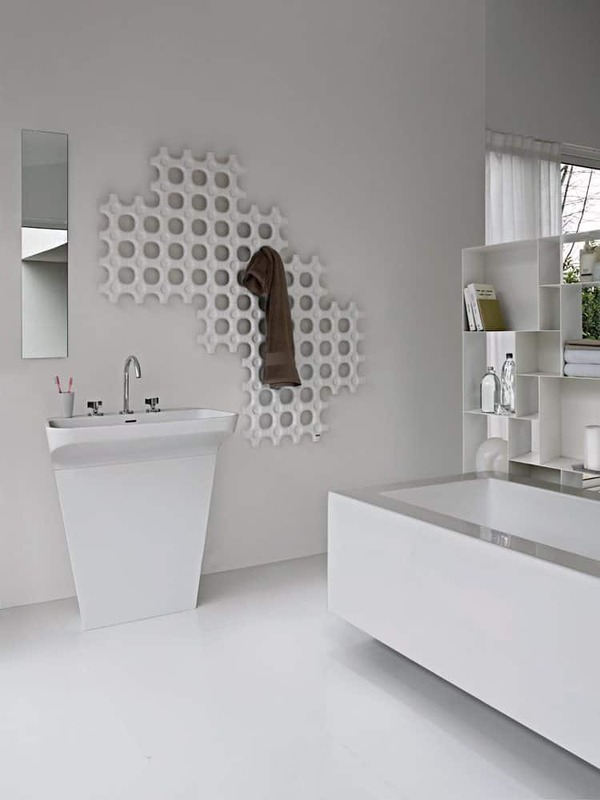 Perfect for this modern Zen bathroom style. 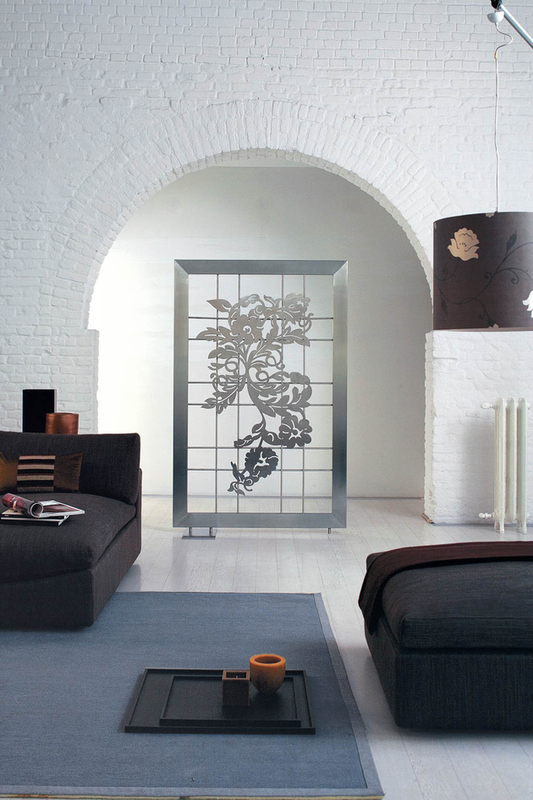 This glass radiator by Sciroccoh is a free-standing screen heater with floral ornamentation. Just how beautiful is this utility fixture! 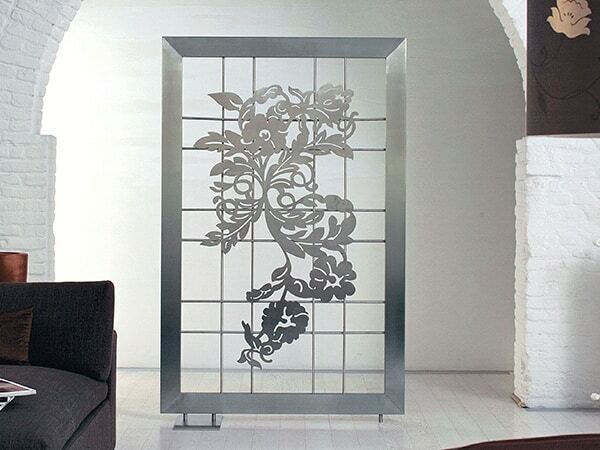 Screen is a great space dividing partition as well as a heat source – it’s open and airy and doesn’t block the light. And no one could tell it’s a radiator. 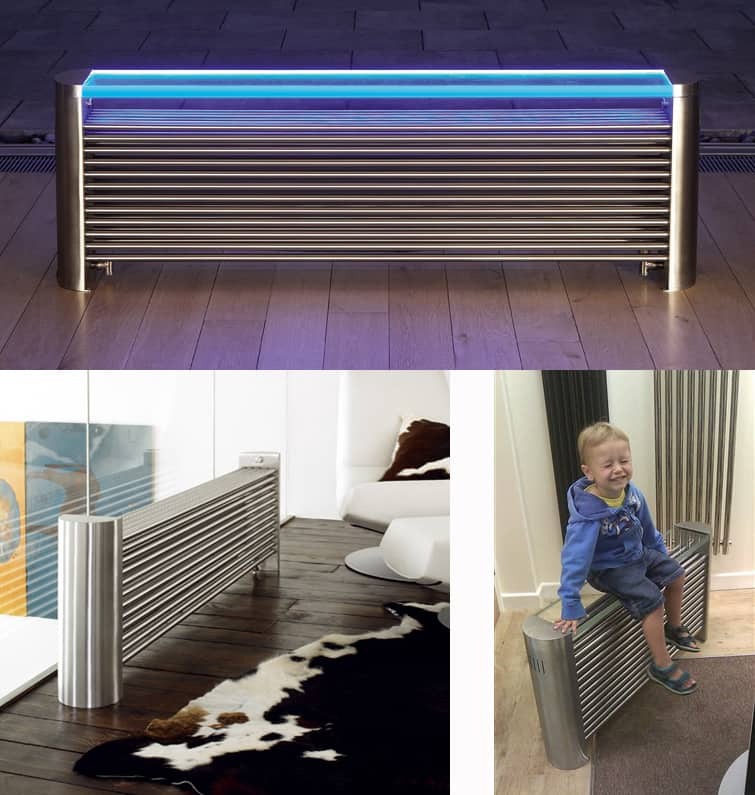 The Ottoman bench radiator by Aeon was previously called Millennium. LED lights installed under a glass top means the radiator gives off a warm glow from within. 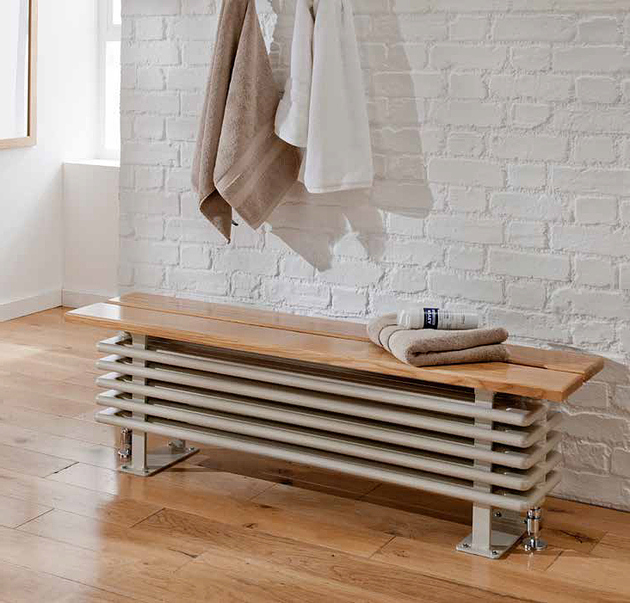 The Grandeur is a stylish seat radiator by Aeon with a heated bench for the ultimate in comfort. 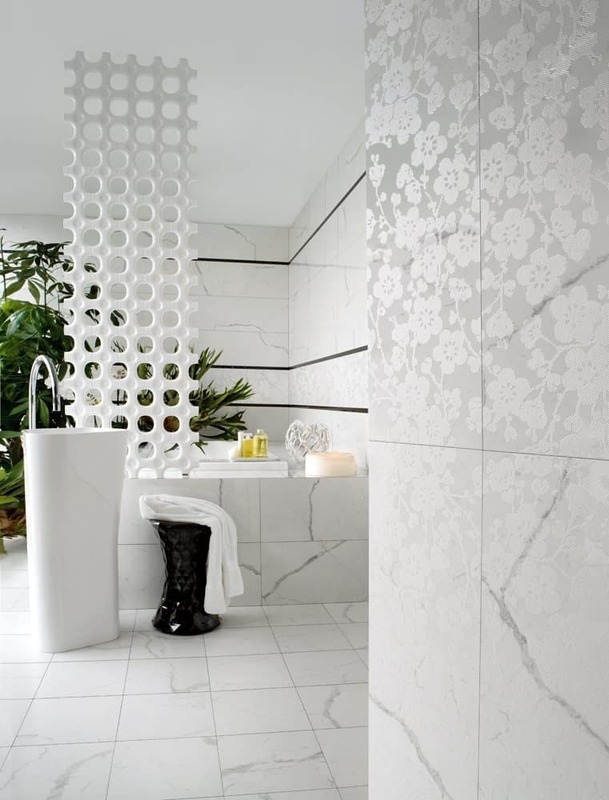 In the bathroom, it makes a cozy spot to warm up after a bath or shower for the ultimate in luxury. In the hallway, it’s an elegant focal point not to be ignored. The Myson Architecture bench radiator radiates style. What a clever idea for a modern heating fixture. It’s not a wall mount or a floor mount – it’s a bench. Imagine coming back home after a cold winter day and getting warmed up right in the foyer. We love it. The Ancona bench seat radiator is perfect in so many different rooms. 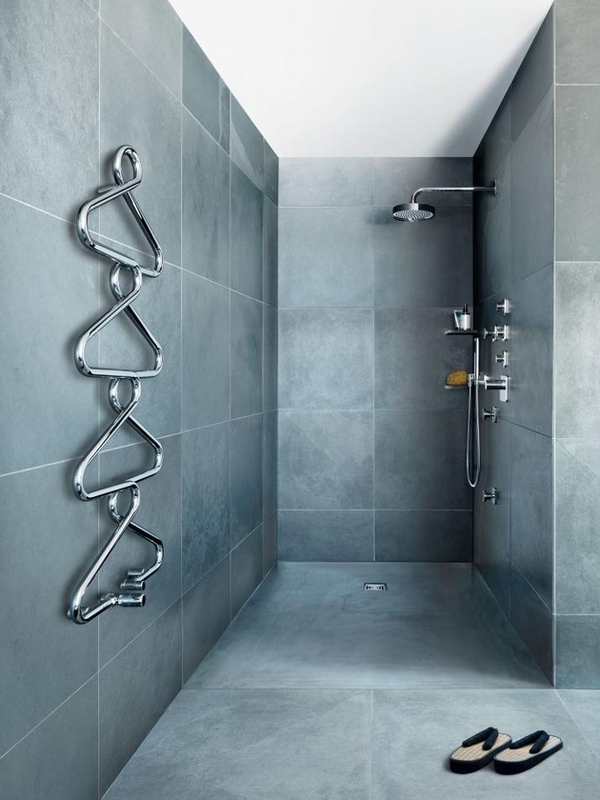 A very practical solution for a small space, without sacrificing design. 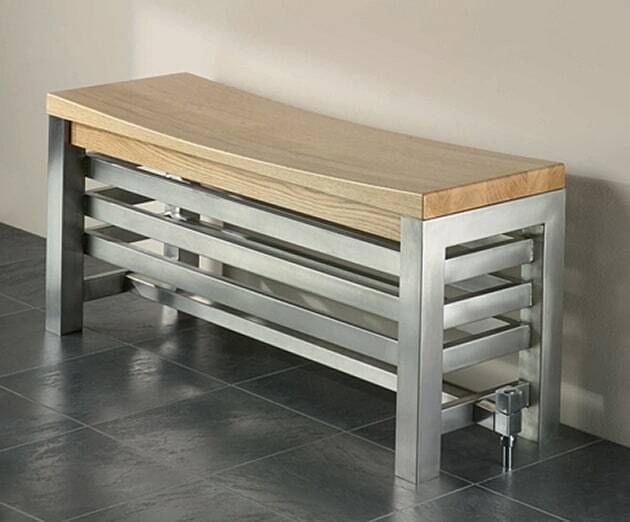 The contemporary Noa heated bench by Aestus has a fantastic industrial look. 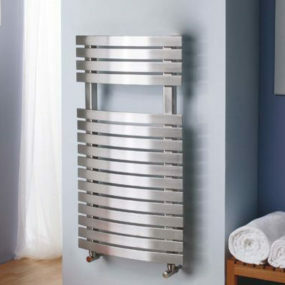 The combo of wood and stainless makes it look like a high end designer piece – not a radiator. 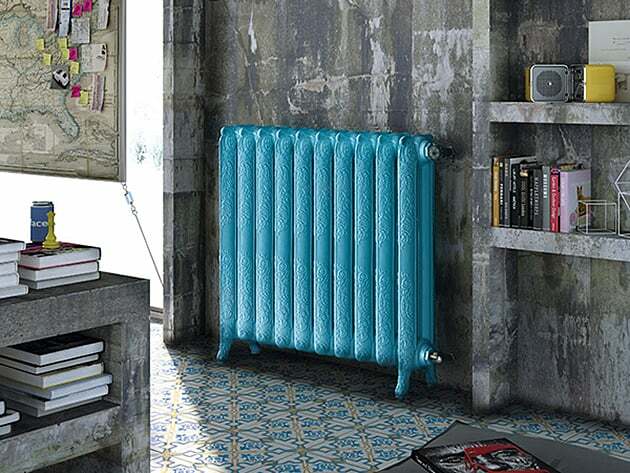 Classic Tiffany retro in this hydraulic home radiator from Scirocco. 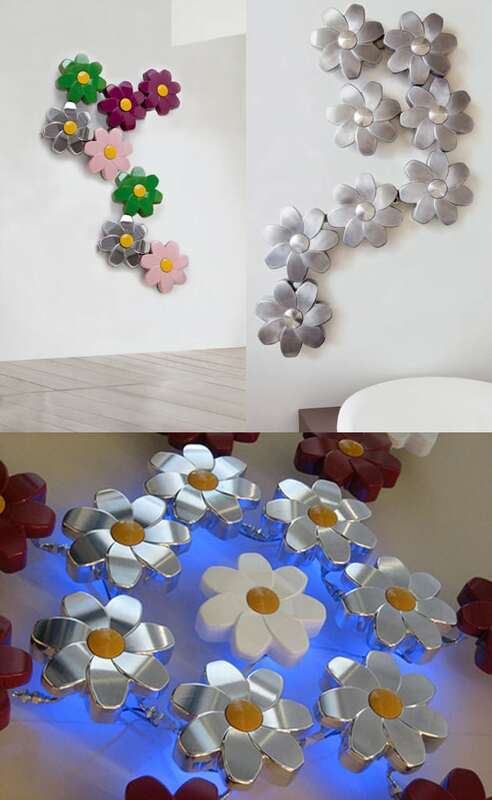 You can add a totally unexpected decor accent with this awesome heating fixture. It will be right at home in a modern industrial style loft or a retro styled concrete home as shown above. Made from cast iron, the Tiffany model is available in 50 different colors. The decorating ideas are endless.